People, Profit, Planet in action! The School Enterprise Challenge 2015 has already been launched! We feel this is the right moment to re-visit the concepts of People, Profit, Planet so that all schools and participants become inspired while they are creating their business ideas. Schools should keep in mind how important it is to try and address all of these issues, not only because you can get closer to becoming a winner at each stage of the competition, but also because you can win individual prizes for each category! We’d like to give you some examples from schools across the globe that took part in the competition. Try to answer the following questions with your team once you start planning your business set-up. People: How can we make our business a ‘social’ enterprise? The T-shirt printing enterprise of the Veda Vyasa DAV Public School in India created a platform for children with special needs to become part of the business. Students who are usually separated came together to set up a successful business that makes unique prints from students’ Madhubani paintings.The profits of the business are re- invested into the installation of green technologies and school trips to organic farms. Profit: How can we make our business as profitable as possible? Planning well in advance, finding an idea with a strong competitive advantage in your area of operation, and discovering or using your resources economically are all ways of increasing your chances for bigger profits! The Bishop Rogan College in Cameroon ran a successful poultry enterprise which raised, and sold 600 broilers, supplying the local area with an important and now affordable source of protein. Thanks to their creative strategy, BIROCOL Poultry Enterprise doubled the profit they had originally predicted! Planet: How can we make our business a ‘green’ enterprise? Check out the example of Birmingham Covington School in the USA: their “Zambia incorporated” jewellery-making business has been environmentally friendly and has considered sustainability since the very beginning. First, the start-up capital came from the recycling of aluminium cans, chip packets and juice pouches. Second, the business was about recycling highly polluting plastic cards and transforming them into beautiful jewellery! Is there a chance our business can meet all the criteria of People, Profit and Planet at the same time? Yes, there is! Since the beginning of the School Enterprise Challenge there have been many successful examples of businesses that are profitable, socially and environmentally responsible at the same time. Most of our top prize winners in the past have considered all three of these criteria, even if they have focused more on one of them. One of these examples is the SAI International School in India and their recycled eco-friendly reusable bags, made from T-shirts which came from donations. The school increased their estimated profit after they simply increased the price of their product to cover for lower production rates. Their business is able to reduce the amount of plastic bags used in their community by thousands! The school used the profits for renovating the Sriharsha Memorial School for Deaf children in collaboration with their partner school in Bristol, UK, a meaningful project that made a big change in the lives of their fellow students. Now it is your turn! You can register here for the School Enterprise Challenge 2015 and start planning your business! This entry was posted in Uncategorized on April 28, 2015 by School Enterprise Challenge. What’s new on the School Enterprise Challenge 2015? In this 2nd week of registration we want to showcase some of the many exciting features of this year’s competition! The benefits of the School Enterprise Challenge are endless and our prizes this year are even more compelling! This year we have over $50,000 US DOLLARS in CASH prizes, CAMERAS, LAPTOPS and tickets and flights to our international conference! We have MORE Country Prizes, MORE Business Idea Prizes and MORE funded places to our annual conference, so your school has even more opportunities to win! And we are also offering 2 brand new awards! It will be given to a head teacher that has gone the extra mile to support the School Enterprise Challenge in their school. Stay tuned for more information! Have you participated in the School Enterprise Challenge before and you are ready to share your experience with others? Or, you have never set up a school business and would like to partner with an experienced school? Then you are perfect for the new pilot “School Buddy Programme”! This Prize will be awarded to the most successful partnership between an experienced school and one that entered the competition this year for the first time. It’s an amazing opportunity for both sides and, TOGETHER you have a chance to win the best “Buddy School of the Year” Award! The School Enterprise Challenge 2015 has a new fantastic website! We hope you like the new fresh look and the improved navigation that will allow you to find the information you need more quickly and easily. There are also 2 new exciting web features! SCHOOL SEARCH and FIND A PARTNER SCHOOL! Once you have registered you can search for other participating schools from all over the world. It is super easy! You can search by country, type of school and type of school business! You can CONNECT with ALL the schools registered online! Share ideas and suggestions, make new friends, and develop partnerships to expand your school business! One of t he many benefits of joining the School Enterprise Challenge is the FREE ACCESS TO OUR EDUCATIONAL RESOURCES that support teachers and students around the world to deliver enterprise education in an innovative way! You will have access to our weekly resources, such as templates, lesson plans and tips to help you complete every stage of the competition successfully, from coming up with a business idea, to writing a business plan and running your own school enterprise! If your school wish to combine practical entrepreneurship skills with a theoretical curriculum we developed a set of resources to help you! With the Primary and Secondary curricula, you will learn about the basic concepts to set up and run a business and how to boost skills such as communication, teamwork, problem solving, and so much more! This year we also developed educational videos that will be shared on our website soon! REMEMBER THAT YOU CAN REGISTER UNTIL THE 20TH OF MAY! SIGN UP HERE and RECOMMEND ANOTHER SCHOOL FOR BONUS POINTS! This entry was posted in Uncategorized on April 21, 2015 by School Enterprise Challenge. Achievements of the School Enterprise Challenge 2014! With almost all the winners announced, we wanted to take a minute to congratulate everybody who took part in the SCHOOL ENTERPRISE CHALLENGE 2014 and celebrate the achievements of last year! 1,283 schools from 93 countries took part in the challenge! 30,266 young people and 1,640 teachers and staff got involved in planning and setting up a school business! The schools collectively generated an impressive total income of US$ 281,082 and a net profit of US$ 136,482! Thanks to all of you, the School Enterprise Challenge was nominated as an Award Finalist in the ‘World Innovation Summit on Education’ (WISE). The WISE Awards recognise projects that implement innovative practices that transform education and society. If you want to know more about it and about our nomination take a look at http://www.wise-qatar.org/school-enterprise-challenge-united-kingdom. With your help we made the first entrepreneurship training videos, to supporting teachers and students in generating a business idea, conducting market research and financial planning! Last year 11 new countries signed up for the first time! We saw the first entries from Afghanistan, Argentina, Brazil, Central African Republic, Ecuador, Lesotho, Kyrgyzstan, Mali, Poland, Togo and Ukraine! We had over 200 entries for our mini competitions! You guys created logos, pitched your businesses, wrote interesting blogs, and celebrated Global Money Week! You have been extremely creative and developed a huge variety of businesses! From fly fishing in Belize, to an inter-schools newspaper in India and a car wash in South Africa! 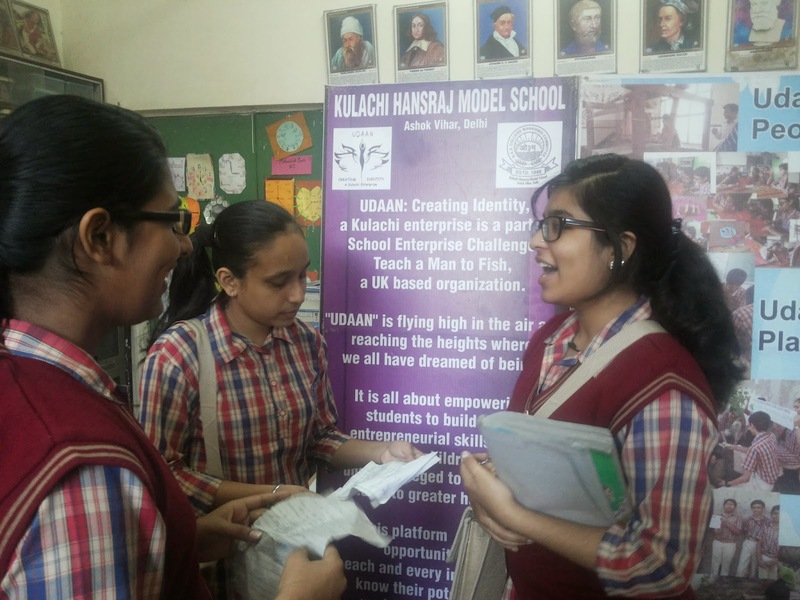 Kulachi Hansraj Model School entered the School Enterprise Challenge for the first time in 2014 and run 4 different businesses under the name of Udaan Creating Identity! Their adventure started with only 20 students which enthusiasm spread out soon – now more than 100 students, and 11 teachers are involved in the running of the enterprise, together with 3 other partner schools. Udaan Fun Zone 4 Kids to offer games and creative activities for kids. All together the business generated a total income of 3,682 dollars, which was used, among other things, to pay for scholarships and uniforms for students in need of financial assistance. So what are you waiting for? Register at http://www.schoolenterprisechallenge.org to be part of this global network of enterprising schools! SIGN UP HERE! YOUR SCHOOL COULD BE THIS YEAR’S WINNER!! This entry was posted in Uncategorized on April 10, 2015 by School Enterprise Challenge. It’s the day we announce the WINNERS of the School Enterprise Challenge 2014 and what better time to have a chat with one of our esteemed judges – Lisa Neuberger-Fernandez. 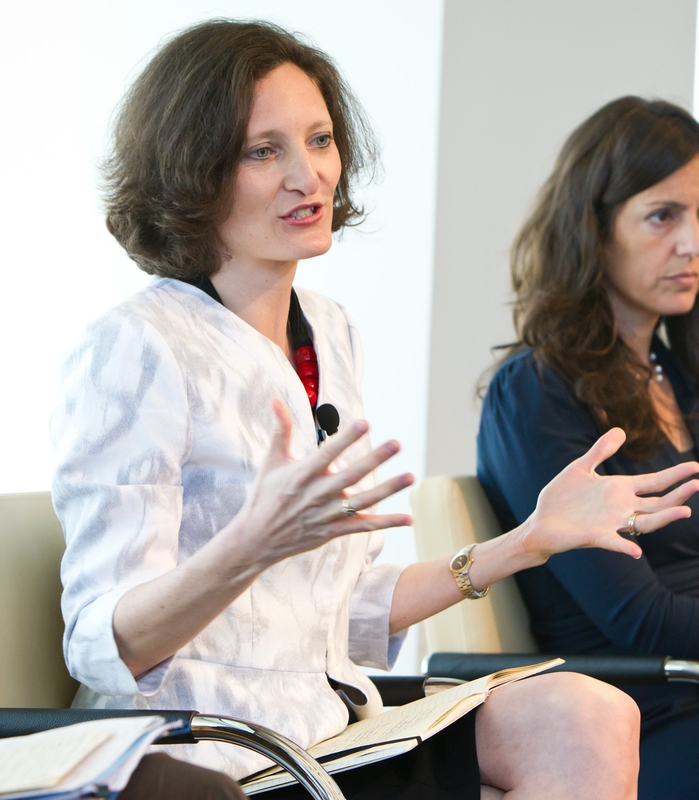 Lisa at the 2011 CECP Corporate Philanthropy Summit and Excellence Awards. Lisa is Global Director of Corporate Citizenship Programmes at Accenture, one of the world’s leading management consultancies. She joined our panel of judges for the first time this year, to help select the winners of the 2014 competition. In this blog, she shares her experience and insights on the School Enterprise Challenge as well as words of wisdom for all you budding entrepreneurs…. Lisa was impressed by the confident young entrepreneurs at Kulachi HansRaj Model School, India. A big thank you to Lisa and all of our judges for their time and support in selecting our 2014 winners. The School Enterprise Challenge 2015 launches on April 8th. 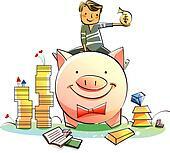 Find out more about the competition and the many prizes on offer at http://www.schoolenterprisechallenge.org. This entry was posted in Uncategorized on April 1, 2015 by School Enterprise Challenge.